When: Saturday October 20th from 7 PM to 11 PM Games: Each match up will consist of three short games to five points on 3v3 size fields. Whichever team wins the series wins that match up. 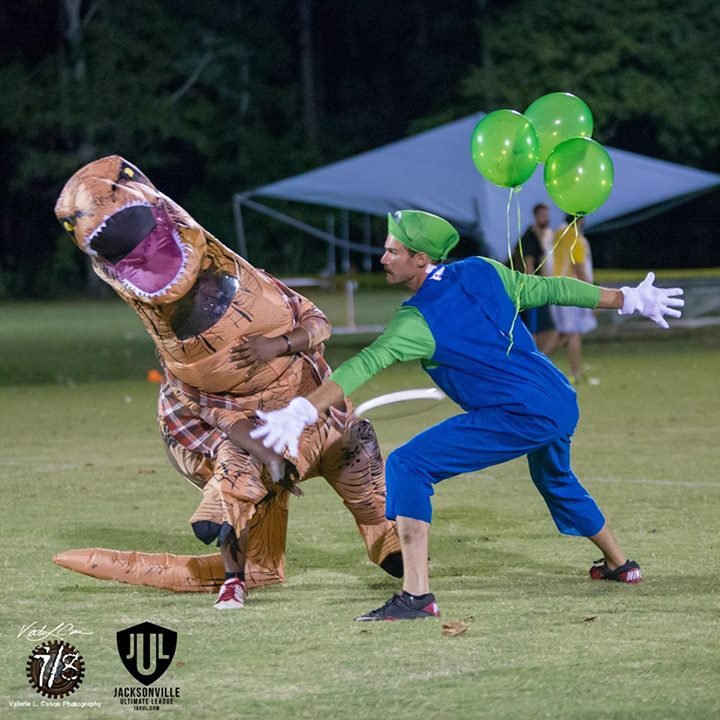 What: 3v3 team themed Halloween style ultimate! Check out the awesome pictures from last year on our facebook page. Who: Each captain will register him/herself first and set their team up during the registration. Subsequent players on that team can register and simply select that team. WE WILL ONLY OFFER THIS IN MIXED THIS YEAR. Where: We are likely to play at Ringhaver Park, same spot as last year. Cost: $10 if you’ve played in any JUL adult league this year; $20 if you haven’t. This (hopefully) covers the cost of insurance and fields so we can continue to run Thriller 3’s! 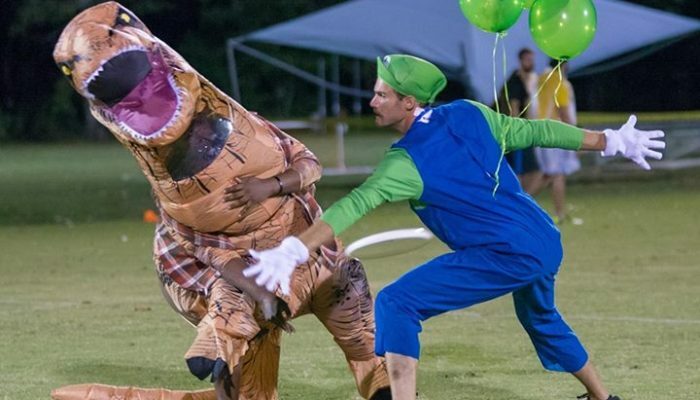 This Happy Halloween 2017 Post about Thriller 3’s Halloween Tournament has been brought to you by TheJacksonvilleParty.com and The Party Legion and your Jacksonville Jeweler.